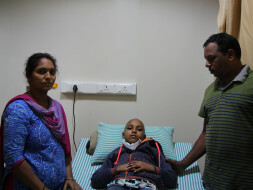 For the last few months, 11-year-old Ashritha, daughter of Sathyanarayana has been diagnosed with a severe form of cancer called Lymphoblastic Lymphoma. 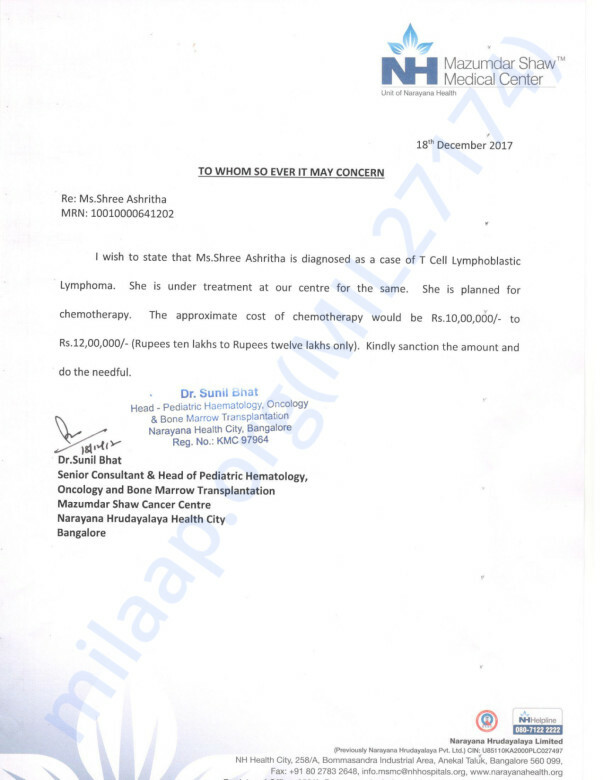 The only treatment for her now is chemotherapy for which the total cost is 10 lakh Rs. Unfortunately, Sathyanarayana dies not have the funds to save his daughter and needs our help. Your contribution can give Ashritha the treatment she deserves. Ashritha is doing well. Ashritha is on maintenance chemotherapy,and is recovering slowly. Here's a quick update on Shree Ashritha. Ashritha is currently on maintenance chemotherapy and recovering. Shree Ashritha is currently on maintenance chemotherapy and is showing good signs of recovery. God bless you, get well soon.